I recently learnt that some of the saltiest bodies of water in the world are actually pink. In exploring the coasts of Western Australia, between Geraldton and Kalbarri in Western Australia, there is a pink lake called Hutt Lagoon. 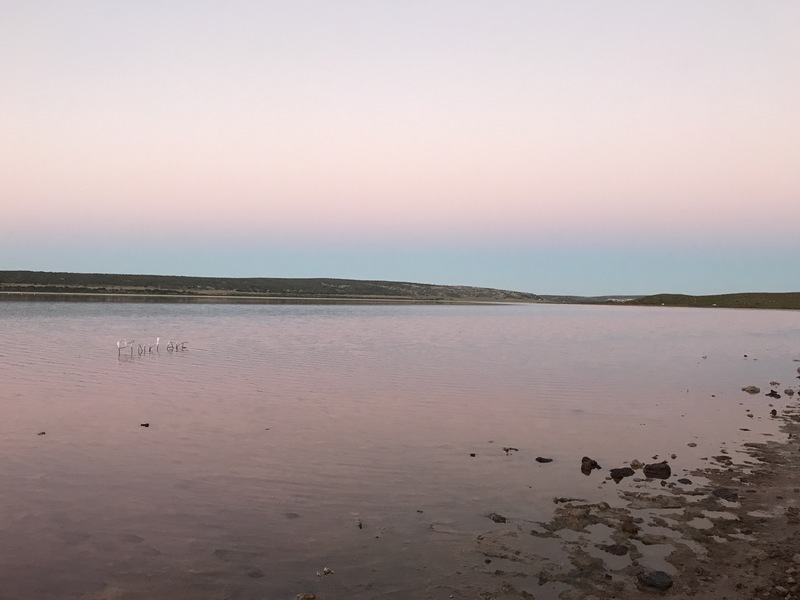 It used to be believed that the presence of an algae is what made the lake look pink but studies have discovered that it is most likely the presence of a bacteria. The dominant bacterium produces a pigment, which helps the organism harvest light for energy that is spread across the entire bacterial cell. This means, when you look at the lake, you mostly see the pink colour of the bacteria. Of course the time of day, weather, etc., influences the tone of pink of the lake.